« How Not To Landscape in Maryland: Part 2. While much of Pennsylvania was spared the harsher effects of Winter Storm Bozeman, much of the country was not so lucky, and the upcoming forecast seems to offer little reprieve for these beleaguered areas. Our hearts go out to the families affected by this devastating winter disaster. It’s times like these that highlight the importance of having a snow removal service available to make sure snow doesn’t stop your daily life cold. Some of the most severe property and automobile damage come at the icy hands of winter storms like Winter Storm Bozeman, even in places where extreme winter weather is rare. The Lubbock, Texas police department rushed to the aid of more than 100 automobile accidents during a measly 12 hour window on Sunday while temperatures dove into the single digits. At least 4 people died as a result of icy roadways, only a half-hour from the normally arid Texas-New Mexico border. With weather this unpredictable, it’s important to have a plan to manage any unexpected winter damage. 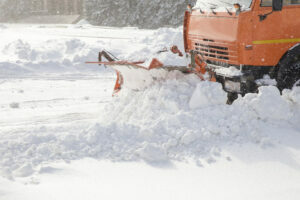 While you’ll have to rely on government services to clear most of the roadways, they may not be able to take care of the areas outside of your Pennsylvania business or home for quite some time, costing you time and energy, spending valuable working hours waiting or shoveling out the snow yourself. At Atlantic Maintenance we know just how important it is to keep your Pennsylvania business or home accessible even during the most brutal weather conditions, that’s why we provide expert commercial snow removal services for clients throughout Maryland, Pennsylvania, Virginia and Delaware. Make managing your property stress free and let our team of snow removal experts take care of everything from shoveling to plowing. We’re experienced in removing snow from parking lots, roads, sidewalks, as well as salting and ice melting. We can handle properties of any size, and will respond immediately when a winter or snowstorm strikes. To get your free quote on snow removal services now, give us a call at 410-768-4720 or contact us via our website today. This entry was posted on Thursday, November 20th, 2014	at 7:28 pm	and is filed under Blog, Snow Removal	. You can follow any responses to this entry through the RSS 2.0	feed. Both comments and pings are currently closed.